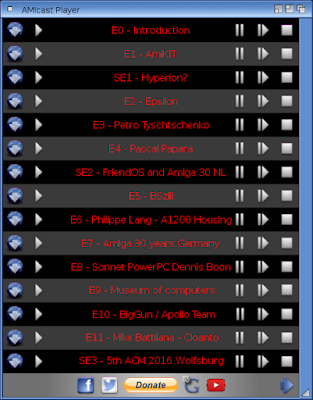 Amiga Podcast: AMIcast - Player for Amiga systems! 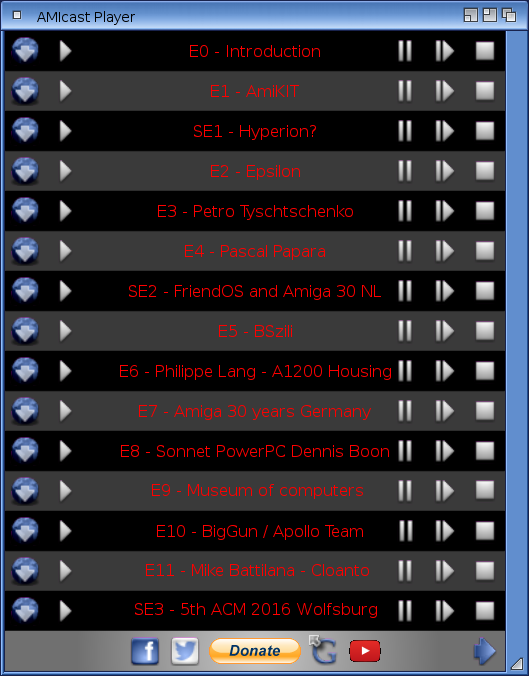 AMIcast Player requires: AVCodec (plugin for MP3), HTTPStreamer (plugin for online streaming) and OpenURL (opening links). Hardware requires: any NG system, but for classic Amiga a gfx card is necessary. You see that is pretty important to have such sites where one tells you about such great sysytems.